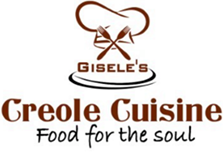 Enjoy the delicious flavors of traditional Haitian food At GISELE'S Creole Cuisine. 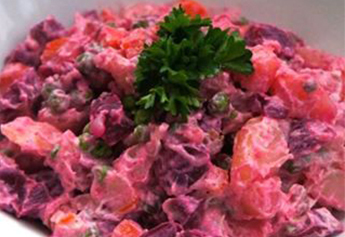 We serve a wide assortment of authentic Haitian dishes made from fresh, local ingredients. With seating for 100, there's plenty of room for groups, but we recommend a reserving a table for parties of six or more. 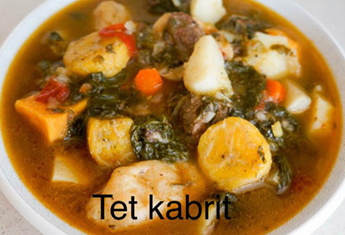 Haitian food is characterized by an incredible blend of French, Spanish, African, and indigenous influences. 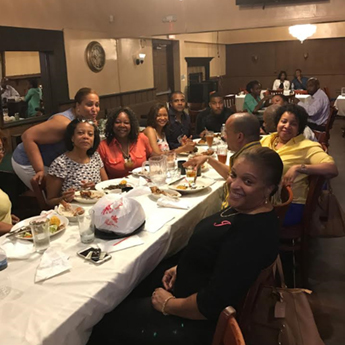 Our specialties include poisson - a tasty, succulent red snapper that is well-seasoned and marinated in a blend of organic herbs and spices - and cabrit, a dish consisting of chunks of wild goat meat that are marinated and seasoned to perfection. Both poisson and cabrit can be served baked, fried, or stewed in sauce. There's something for everyone on our menu, including a great selection of vegetarian and gluten-free dishes. Great meals start with the best ingredients. At GISELE'S, we use high-quality cuts of meat and local, organic produce in our salads and seasonings.